Don't you just love this little Dutch couple, embroidered in the 1930s? They'll be off to a new home soon. 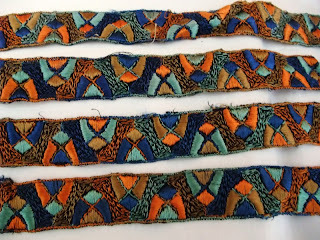 Have put some more photos of vintage 30s motifs at the end of this post for you to enjoy. 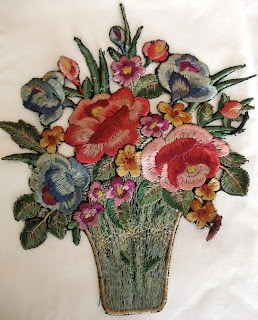 I am sewing away at the moment, busy reworking lots of vintage embroidered textiles. 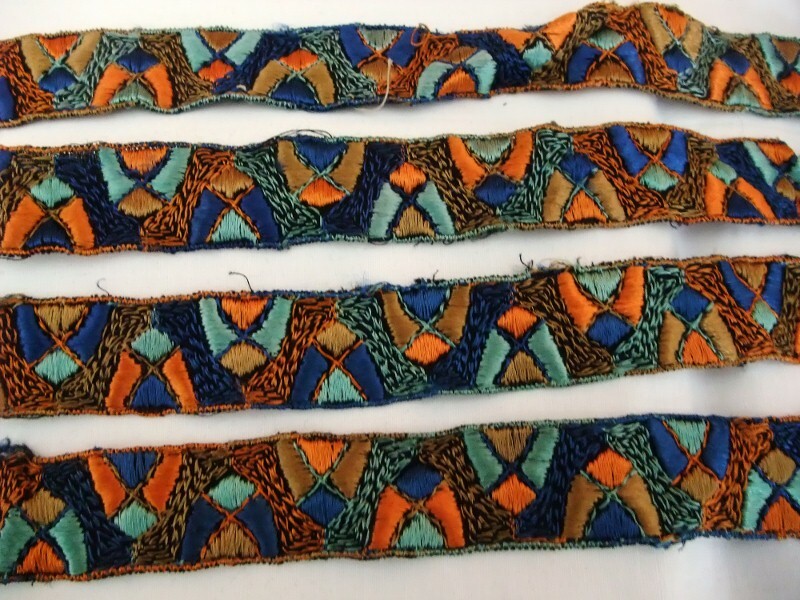 I think it is such a shame when tray cloths & tablecloths, and even "duchesse sets" (I think that was the 30s name for sets of little mats which were used on dressing tables etc) cannot be enjoyed. So I am making some new patterns to rework these items. On the whole these are proving successful with not too many textiles relegated to the rag bag! This was my attempt at a small workbag reworked from a corner cut from a (damaged) embroidered tablecloth. The shape was inspired by this advert from a 1930s magazine. You will see I had to cut the bag a bit wider to accommodate more of the embroidery, it is a nice little bag which sits comfortably on the arm. 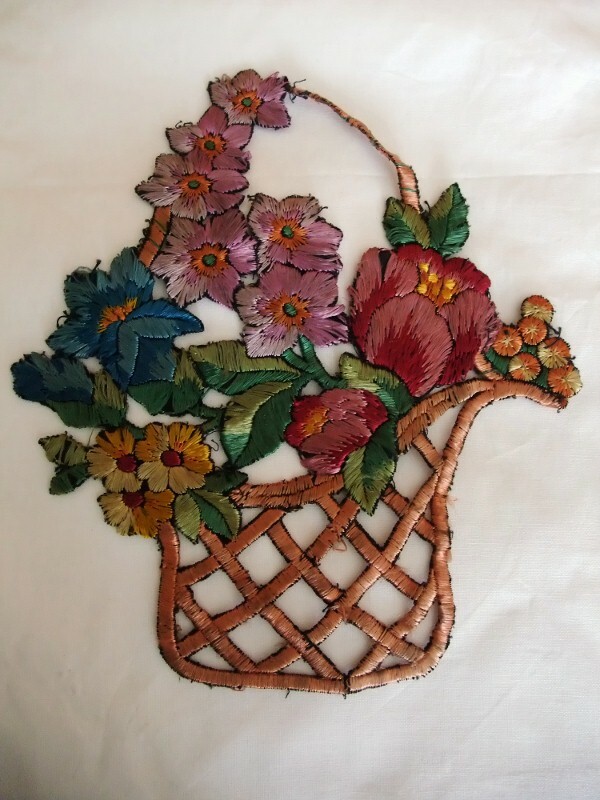 Love all these vintage embroideries. When I was little, my mom bought me the stamped cloth to practice with. I particularly love the embroidered bag you've made. Thank you, have been busy reworking tons of vintage tray cloths & linens over the last few weeks which is why I haven't been blogging so much ... more posts soon!